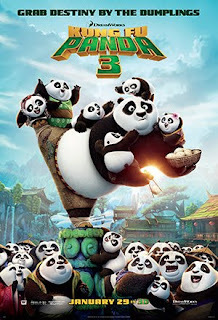 Po and his friends are back in another Kung Fu filled adventure. I'm a fan of the original Kung Fu Panda movie, and didn't hate the second one. The 3rd one is already looking better than the second in my opinion. Just hoping that they don't drop the ball. We'll see soon enough.